UMC is the First and Only Comprehensive Stroke Center in West Texas. It's a big deal for a hospital. It's an even bigger deal for our patients. People with brain bleeds are more likely to survive if they are treated at a comprehensive stroke center. 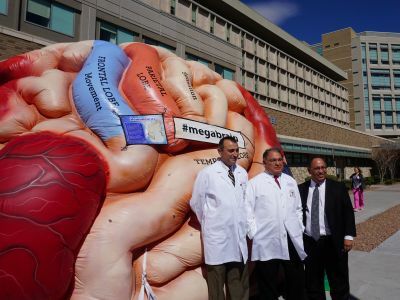 On March 9th of 2018, the El Paso region and University Medical Center of El Paso made history with the announcement of Comprehensive Stroke Center certification from The Joint Commission. Never before has a hospital in El Paso held Comprehensive Stroke Center certification with the closest in San Antonio to the east and Phoenix to the west. No hospitals in New Mexico have the certification. "In partnership with physicians from Texas Tech University Health Sciences Center El Paso, along with our UMC Neuro Critical Care team of physicians, nurses, techs and others," said Jacob Cintron, UMC President & CEO. "UMC now brings the pinnacle of complex stroke care and readiness to El Paso - a level of care sought by hospitals across the nation." First and foremost for our patients, it means they now have access to the best care available, right here in El Paso, for even the most complex cases. - Dr. Richard Lange, M.D., M.B.A., President of Texas Tech University Health Sciences Center El Paso. Stroke is the fourth leading cause of death and the leading cause of serious long-term disability in adults. Close to 5000 El Pasoans lost their lives to stroke last year. 8,000 people in the United States suffer from a stroke each year and for about one-third of those patients, it is their second one. There is a significant reduction in the risk of death for people with hemorraghic stroke or aneurysm for patients treated at a comprehensive stroke center. 24/7 availability of personnel trained in vascular neurology, neurosurgery and endovascular facilities. Interdisciplinary team of neurointerventionalists, neurologists, neurosurgeons, emergency medicine physicians and specially trained nursing staff. PVI Registry, a database for Carotid Artery Interventions provides data collection for stroke research but also allows clinicians to effectively determine whether a patient's care should be provided in a cath lab, interventional radiology or through an outpatient vascular center. Coordinated post-hospital care including physical therapy, speech therapy and occupational therapy from our Rehabilitation Department is initiated early in the stroke recovery process to provide best outcomes. The PVI Registry, a database for Carotid Artery Interventions includes data on lower extremity catheter-based arterial intervention procedures, carotid stenting and edarterectomy data. The database provides reliable information relating to the broader population with peripheral vascular disease undergoing diagnostic angiography or catheter-based interventions with real-world procedural outcomes. Donors interested in making a gift or who would like more information on Neurology and Stroke Center donor opportunities including naming rights and a Public Stroke Education Campaign that impacts our community and saves lives can email donate@umcfoundationelpaso.org or click here. Foundation volunteers provide amenities and special support to Neurology and Stroke Center patients and families. To learn how to become a volunteer, email volunteer@umcfoundationelpaso.org. 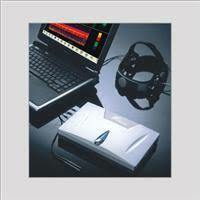 Funded by UMC Foundation, the Transcranial Doppler Probe (TCD) works with Ultrasound machines to improve care to existing and future stroke patients. Often known as "the doctor's stethoscope of the brain," TCD is a diagnostic, monitoring and therapeutic tool that provides real time information. Entirely funded through University Medical Center's Foundation, the Healing Arts Program integrates dynamic and inspirational art from local and regional artists in every area of the hospital including the Neurology and Stroke Center, improving the hospital experience for patients, families and caregivers.